Desai Shan completed her PhD at Seafarers International Research Centre, Cardiff University. She holds a Postgraduate Diploma in Social Science Research Methods and an LLB in maritime law. 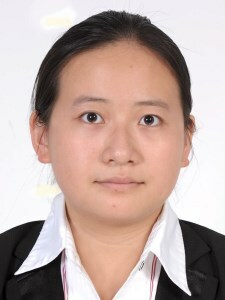 She is a qualified Chinese lawyer and an experienced university teacher in employment relations, international law and maritime law and policies. She is a socio-legal researcher. Desai Shan (2017) “Workplace Death at Sea: Chinese Surviving Families’ Experiences of Compensation Claims.” Relations Industrielles/Industrial Relations. 72 -1, 2017, 125-148. Gang Chen and Desai Shan (2017) “Seafarers’ Access to Jurisdictions over Labour Matters” Marine Policy. 77 (2017) 1-8. Lijun Tang, Desai Shan, Peidong Yang (2016). “Workers’ rights defence on China's Internet: an analysis of actors.” Information, Communication and Society 19 (8), 1171-1186.